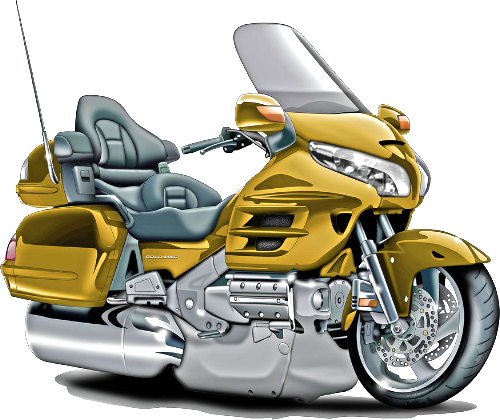 The Calgary chapter of GWRRA, Chapter AB-A, is a dynamic group of Honda Goldwing enthusiasts. Our chapter is in Region 'J' which encompasses Saskatchewan to B.C. and includes the Territories as well as Alaska. We're the only international chapter in the organization. We gather on a regular basis for meetings and social events. Our regular meetings are held at Fox Hollow Golf Course near Deerfoot and 32nd. Our monthly meetings are on the second Monday of the month at 7:00PM where we discuss chapter business, present awards, plan special events and basically tell everyone what's going on. Everyone usually shows up around 6:00 to order dinner. We also meet every Sunday for breakfast at 8:00AM. This is an informal gathering to socialize. Our weekly rides depart following these breakfasts at 10:00AM. Please see the calendar for the full list of all our events. In addition to the regular rides, we also participate in special events such as the Ride for Dad, the Banff Grand Fondo and others. Guests are always welcome at our meetings and breakfasts. You don't need to ride a Goldwing. In fact, you don't need to have a motorcycle to enjoy our company. Everyone is welcome.